Cinematographer Bradford Young discusses his work on the period dramas Selma and A Most Violent Year. Interviews with the cinematographers behind Tangerine, Meru, Shaun the Sheep Movie, The Visit and Christmas, Again. Cinematographer Steven Fierberg, ASC, details his approach to the hit Showtime series The Affair. Cinematographer Christopher Probst discusses shooting Power/Rangers, a fierce fan film like no other. Andrew Lesnie, ASC, ACS, tracked a farmer on a difficult journey for The Water Diviner, directed by Russell Crowe. Cinematographer Dean Cundey, ASC, fields some questions about filming the horror classic The Thing for John Carpenter. Long work hours have become officially sanctioned abuse. A Q&A with a Mongolian cinematographer who has enrolled in every ASC Master Class since 2013. Claudio Miranda, ASC, envisions a promising future for Tomorrowland, directed by Brad Bird. The ASC Technology Committee keeps pace with busy slate of industry initiatives. The Magnificent Ambersons and the great Stanley Cortez, ASC. Steven Fierberg, ASC, taps 35mm to bring the HBO series about fame and friendship to the silver screen. A Q&A with authors James Layton and David Pierce. 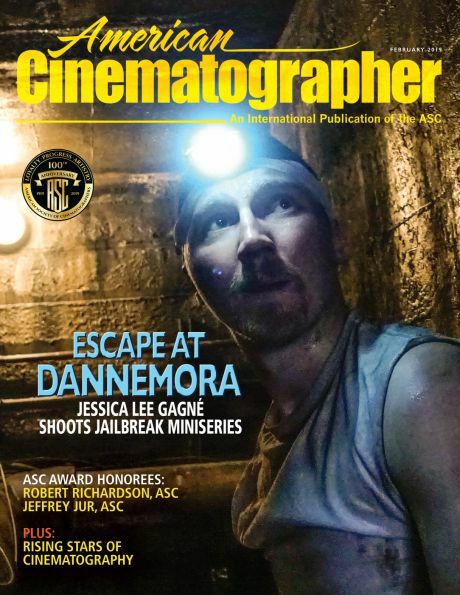 How does a cinematographer become an ASC member? Mauro Fiore, ASC, steps into the ring. Q&A with cinematographer Brandon Trost about his award-winning work on an unusual coming-of-age story. Technicolor celebrates 100 years of innovation and artistry. Cinematographers on Bessie, Boardwalk Empire, Mike & Molly and Virunga discuss their Emmy Award-winning work. Cinematographer Richard Rutkowski frames history for Manhattan, a TV series that chronicles the invention of the nuclear bomb. Salvatore Totino, ASC, AIC, ventures to great heights. The emotional impact of what cinematographers do. Alwin Küchler, BSC, uses 16mm, 35mm and digital capture to tell the story of Apple founder Steve Jobs. A Q&A with Reed Morano, ASC, about directing and shooting the dark drama Meadowland. Recalling the pleasure of seeing movies over the holidays. 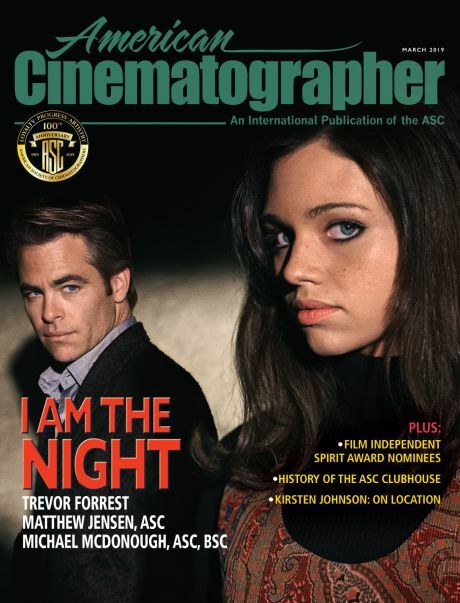 The 2015 ASC Gordon Willis Heritage Award winners discuss their projects. Q&A with cinematographer Masanobu Takayanagi, ASC. Cinematographer Ed Lachman, ASC, visualizes a period story of forbidden love. Pixar artist Sharon Calahan, ASC, discusses the interplay of cinematography and digital animation, and how the filmmakers created the natural world from scratch. Cinematographers from Gotham, Game of Thrones, 12 Monkeys and Marco Polo discuss their ASC-nominated episodes. 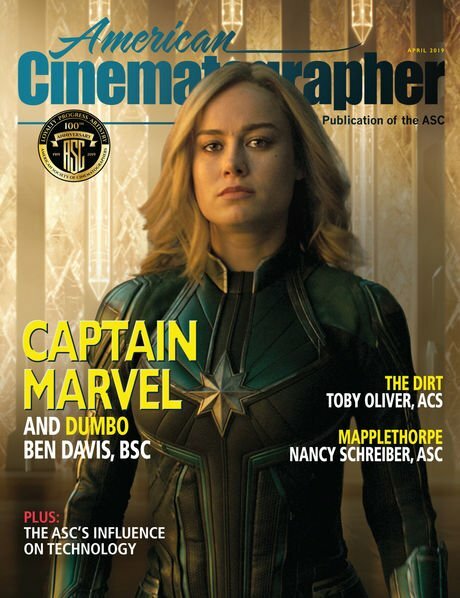 Cinematographers from Bessie, The Man in the High Castle, Blindspot, Casanova and Marco Polo discuss their ASC-nominated work.